Mendelssohn and Moscheles met in London in 1833. In only two days they composed a brilliant piece for two pianos and orchestra. The introduction and the first and second variations were composed by Mendelssohn. The third and fourth variations and the connecting tutti by Moscheles. They shared the finale. 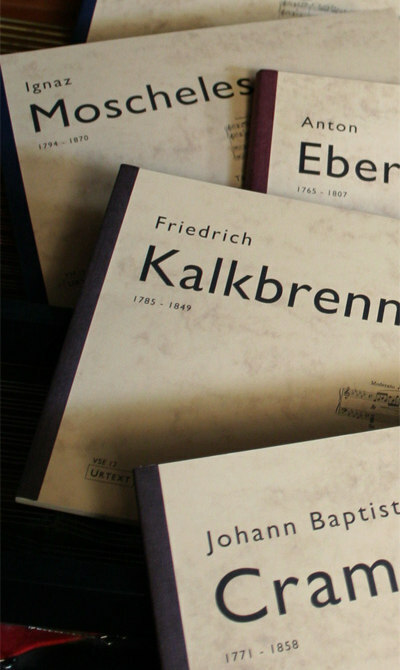 This edition presents two arrangements that Moscheles published the following year: for one piano, four hands, and for two pianos. Moscheles alone composed the second piece presented in this edition (Symphonisch-heroischer Marsch). It was published for the same two settings.